At the very moment when the order of enhancement of superannuation of the employees came into force though temporary in nature, it would amount to privilege to employees since it is a special right granted to them. Hence, any unilateral withdrawal of such privilege amounts to the contravention of Section 9A of the Act and such act of the employer is bad in the eyes of law, the bench said. 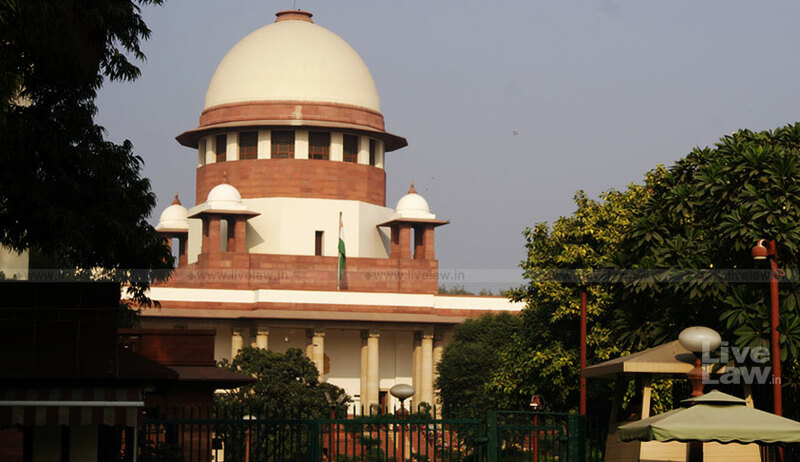 The Supreme Court, in Paradeep Phosphates Limited vs. State of Orissa, has held that unilateral withdrawal of the order of enhancement of age of superannuation of the employees which was temporary in nature, amounts to the contravention of Section 9A of the Act and such act of the employer is bad in the eyes of law. In this case, on 19.05.1998, the government decided to temporarily enhance the age of retirement of all Central Public Sector Employees from 58 years to 60 years with a view that the same may help industries to cut down their losses. Later, as the conditions of company still did not improve, on 22.08.2001, the government decided that all Central Public Undertakings, including the PSU, to roll back the age of retirement of all the employees of Public Sector Undertaking from 60 years to 58 years. Later, the company restored the age of retirement to 58 years in respect of all the employees. The Industrial Tribunal and later the Orissa High Court invalidated the action of the company of rolling back the age of retirement from 60 years to 58 years due to contravention of Section 9A of the Act which says prior notice must be given to the employees by the employer which the employer intentionally omitted to give in the present case. Challenging these orders, company approached the apex court contending that merely because the benefit has been given to superannuate on attaining the age of 60 years instead of the age of 58 years for a period of four years i.e., 1998 to 2002, it will not ipso facto replace the age of superannuation as has been provided in the Service Rules or the Certified Standing Orders. The issue before the court was whether the increase in the superannuation age of the employees which was temporary in nature in order to combat the losses, can it be said that withdrawal of it amounts to withdrawal of customary concession or privilege or change in usage. The court observed that, at the very moment when the order of enhancement of superannuation of the employees came into force though temporary in nature, it would amount to privilege to employees since it is a special right granted to them. The court also observed that the contention that the object of enhancement of superannuation age was just to save the industries from huge losses, therefore, it does not violate any statutory right of the employees, cannot be sustained in the eyes of law and also it does not give the license to the company to act in contravention of law since it is a cannon of law that everyone is expected to act as per the mandate of law.